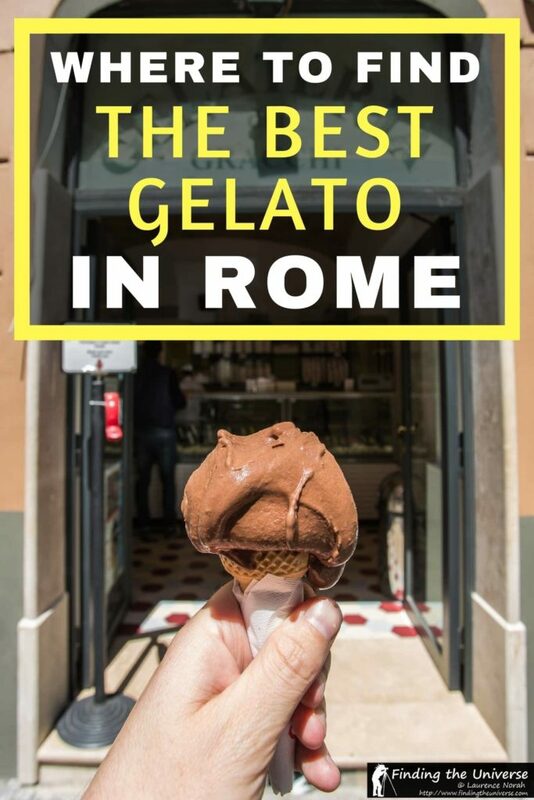 Home » Destinations » Europe » Italy » The Best Gelato in Rome in 2019 – Detailed Guide and Map! 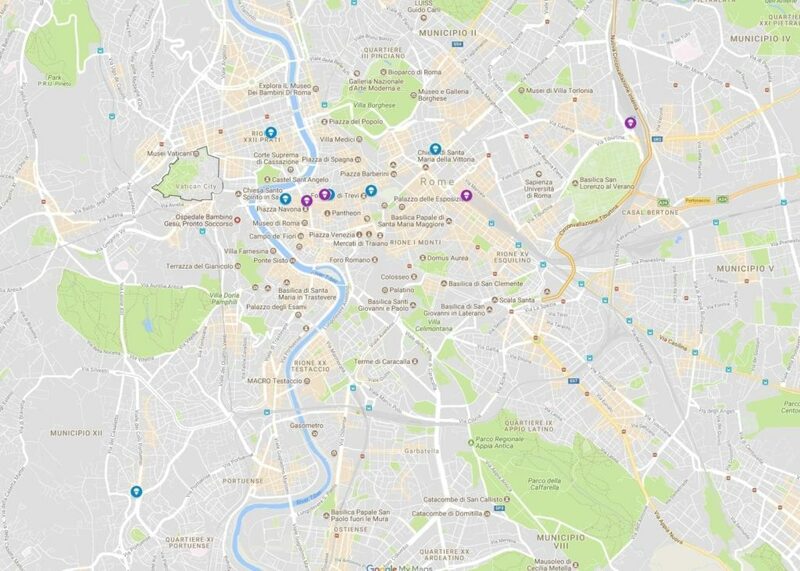 The Best Gelato in Rome in 2019 – Detailed Guide and Map! If you’re heading to Rome, one thing you absolutely have to do is try gelato – the Italian version of ice cream. Gelato literally means “frozen” in Italian. And in this post, we’re going to help you find the best gelato in Rome (in our opinion anyway). Strictly speaking, gelato differs from ice cream in a few key ways – it has less fat than ice cream for example, and also less air – making it a denser treat than normal ice cream. It’s also served warmer than ice cream, meaning it will melt faster as you eat it. Gelato is incredibly popular in Italy, and as you stroll around Rome you’re going to find yourself overwhelmed by choice. You don’t want to waste your time, so as a quick rule of thumb, avoid anything that is wildly colourful or piled really high – these are signs that there’s a lot of artificial colours or flavours, plus real gelato is too dense to pile up. To be honest, the best gelato isn’t even on display in piles – it’ll be retrieved from wells in the counter that keep it fresh. You don’t have to be a detective though, and spend hours trying to figure out which is the best gelato in Rome, because we’ve done it for you. We spent a considerable amount of time trying a wide assortment of gelato shops in Rome on a recent visit (the tough things we do! 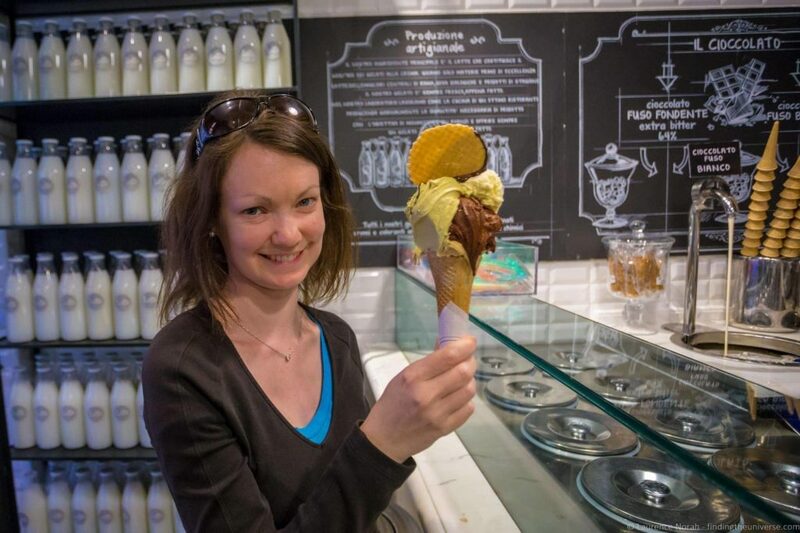 ), and are pleased to provide our definitive list of where to find the best gelato in Rome. 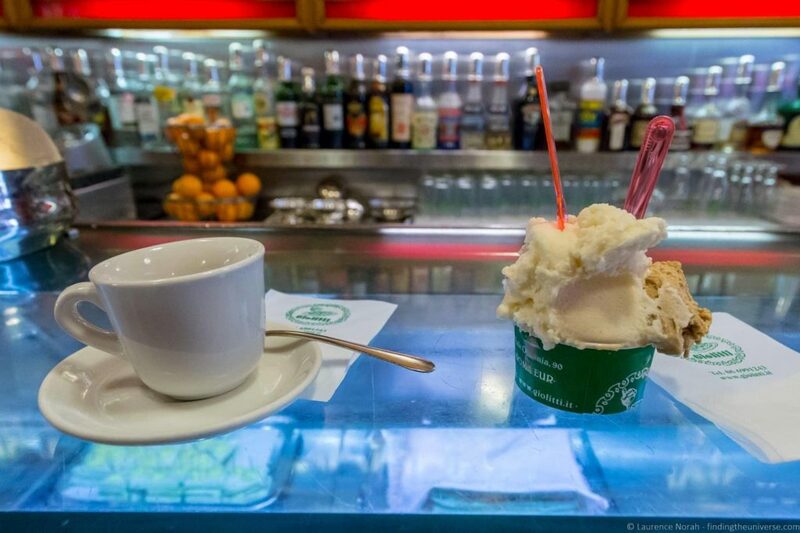 These are our favourite spots for gelato in Rome, after a great many samplings. We’re happy to recommend all of them, and they are all across the city, meaning wherever your trip takes you, you’re never going to be too far from great gelato! Spoiler alert: this is my favourite of all the gelato places in Rome. The others listed below are all excellent too, but if there was only one gelato spot I could go to in Rome, this would be it. As the name suggests (it means “like milk”), Come il Latte (note, website offline in January 2019 but store still open!) specialises in super creamy gelato. They make their gelato with between 60% & 70% milk (non-dairy gelato is also available if you’re lactose intolerant), and then use the freshest seasonal products for flavours. The gelato is made fresh every day, and there are a lot of flavours to choose from. Everything from the classics like chocolate, vanilla and pistachio, through to more rarefied offerings like persimmon. Flavours vary depending on the season and what is freshly available, and it should go without saying that there are no colour additives or chemical preservatives going on here. My favourite part of the whole experience though wasn’t even the gelato, even though that was pretty epic. No, it was the fact that before you pick your flavour, you get to decide if you want the interior of your cone (you have to get a cone) coated in dark chocolate or white chocolate. Yep, they have essentially a chocolate fountain, from where the interior of the cone is coated in your choice of dark or white chocolate. Then it’s filled with mind-bogglingly delicious gelato, and you can, if you feel truly decadent, then top it with homemade whipped cream. I mean, at this point, why not? Even better, unlike many other gelato’s which nickel and dime you for every addition, all of the above is part of the price. Which is very reasonable, for the epic flavour adventure you are about to embark on. So yes, just go here. Where is it? Come il Latte can be found on Via Silvio Spaventa 24/26, which is just a short walk from Rome’s Termini station. See their website for opening times and further information. Found a stones throw from the Trevi Fountain, Il Gelato di San Crispino is practically an institution at this point. It is one of the most centrally located gelaterias on my list, and also one of the first “famous” gelaterias on my list. It even made it into the book (and film) Eat, Pray, Love, and as you can imagine given its location, is pretty popular. Luckily, the gelato pretty much stands up to the reputation, with fresh flavours and an obsession with quality shining through. They are quite strict here though – you can only get your gelato in a cup – the flavour of a cone is deemed too overwhelming for their delicate gelato. Still, you can buy your gelato cup, and then enjoy it whilst wandering past iconic sights like the Trevi Fountain or the Pantheon, essentially having your own Eat, Pray, Love moment. If you are in this area hankering for gelato, this is definitely an excellent option (although also see Gelateria Giolitti below). 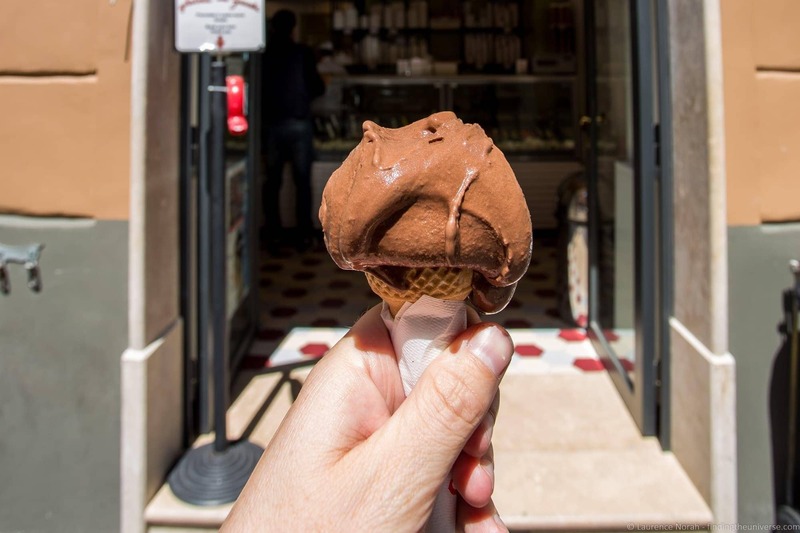 Even if it is a little more pricey than other gelatos, it’s worth it – Il Gelato di San Crispino has some of the best gelato in Rome near the Trevi fountain and the Pantheon. Where is it? There are actually a number locations, but the one in this list that most will be familiar with is at Via della Panetteria, 42, near the Trevi Fountain and the Pantheon. You will also find one at Piazza della Maddalena. As a bonus tip, if you’re leaving Rome and are missing gelato already there’s even a branch at Fiumicino Airport! 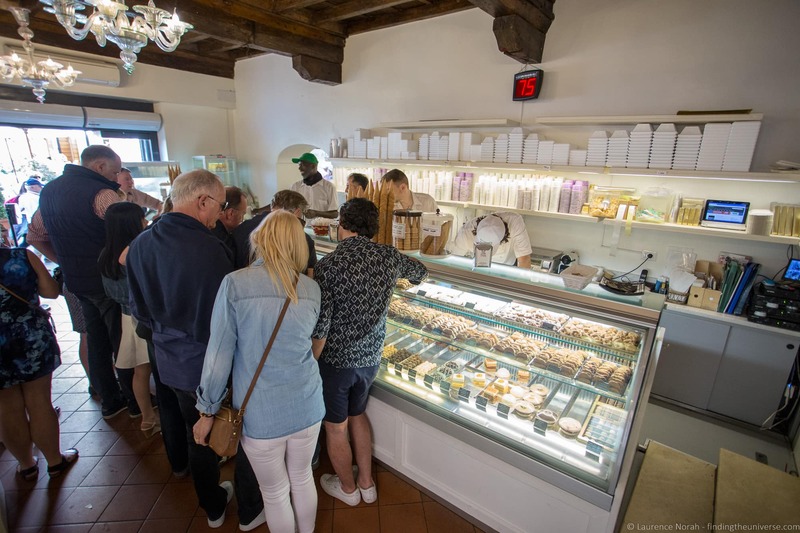 If you’re over near the Castel Sant’Angelo or Piazza Navona, then you’ll probably want to head to Gelateria del Teatro for your gelato fix. Established in 2004, Gelateria del Teatro is also the some of the best gelato near the Vatican, even if it’s a bit more of a walk. This gelateria regularly tops best gelato in Rome lists, and for good reason – the ingredients are high-quality, Italian sourced, and everything is made on site under the guidance of passionate owners Stefano and Silvia. They even use filtered water and freshly delivered milk. They also take their cones seriously, so if you like your gelato in a cone, you’re in the right place. The location is also picture postcard perfect – think a narrow cobbled street with a few tables and chairs outside, surrounded by some of the oldest streets in Rome. So yes, a good location, and definitely the one to come to for gelato near the Vatican or Piazza Navona. There is also a newer location on Lungotevere dei Vallati facing Trastevere. 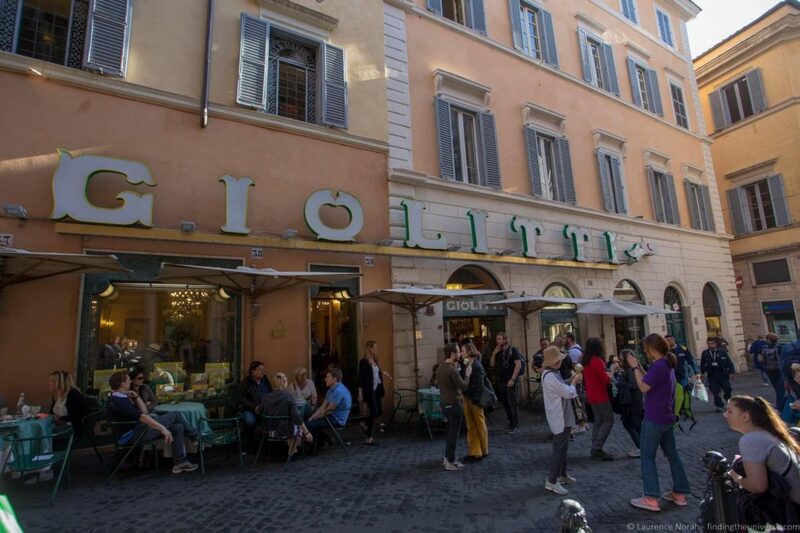 Believed to be Rome’s oldest gelato shop, having been established in 1890, Gelateria Giolitti is a fantastic option for gelato near the Pantheon and the Trevi Fountain. Between this and the aforementioned Il Gelato di San Crispino there’s no excuse for eating bad gelato in this part of Rome! Giolotti has been in the same family since being opened by Giuseppe and Bernardina Giolotti in the 19th century, and the family commitment to serving high quality gelato has never wavered. In fact, for a time, they supplied cream to the Italian royal family. Today this iconic gelato shop is near the top of many visitors lists. Even the Obamas came here on a visit to Rome. As you might imagine, such popularity means it gets rather busy in here, and the queues sometimes go out the door. There’s a counter service option, or you can opt to be seated (which costs a little extra). We’d suggest the former, the queue moves pretty quickly and it’s worth the wait in any case. Before joining the queue, you’ll need to pick up a ticket so you get served in the correct order. The gelato comes in a wide array of flavours, plus you can accompany it with a coffee (or something stronger) as there’s a full service bar here as well – note this is a separate queue to the gelato line. Where is it? Via Degli Uffici del Vicario, 40. About half way between the Vatican and the Piazza Popolo, Gelateria dei Gracchi is another excellent place for gelato near the Vatican. Personally I tried the chocolate here, and it was truly divine. I’m not the only one to think so – Anthony Bourdain himself rates this as one of the best gelato options in Rome. A commitment to fresh, seasonal ingredients definitely helps, plus gelato making experience that dates back to 1981, when the owner Alberto Manassei started making gelato in Sardini. 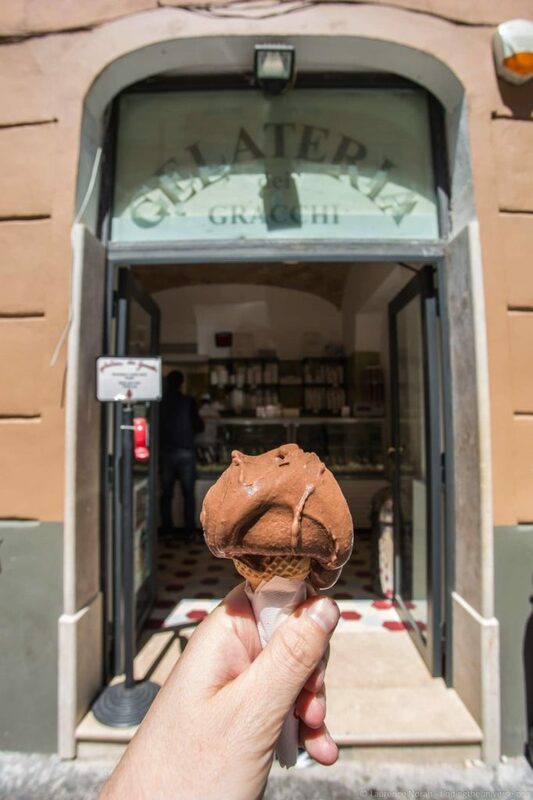 Fast forward to 1999, and Gelateria dei Gracchi was opened in Rome. Like many of the options on this list, this isn’t a huge place, so expect to have to grab your gelato and go. You could even wander with it along the banks of the nearby Tiber, although if you’re like me, you will probably have eaten it all before you even get there. Bonus tip – there’s another outlet of the Gelateria dei Gracchi on via di Ripetta. This is probably the best gelato near the Spanish steps. Where is it? Via dei Gracchi, 272. It’s not all about central Rome, although from a visitors perspective, the above five options are definitely going to be the easiest to get to as part of your Rome trip. If you don’t mind a bit of effort in your quest for the ultimate gelato, then you might want to head out of the city centre to Otaleg. Which, you will have noticed, is gelato spelt backwards. Yes, it’s going to take you a while to get here, but this means two things. One, you will have had gelato somewhere where few other tourists have, meaning you get to brag about your favourite gelato in Rome at a gelateria that likely few of your peers will have been. Two, you will have had what many feel is genuinely the best gelato in Rome. So when you’re bragging to your peers, you’re backed up by the opinion of some solid gelato aficionados. But that’s not all. When you visit, you’ll get to see the unique Otaleg laboratory, and see the whole gelato making process happening right before your eyes. You’ll also get to pick from around sixty flavours, all based on seasonally available produce. And then settle on something infused with some kind of alcohol, because you’ve earnt it. When people talk of gelato in Rome, it is almost inevitable that at some point Grom will crop up. This is a very popular chain of gelaterias which started in Turin in 2003, and is now in tens of locations worldwide, including New York, Tokyo and Dubai. Naturally, there are a number of locations in Rome as well! This makes Grom a very convenient option, although of course now they are “mainstream”, you may not accumulate as many gelato knowledge points compared to picking an option that isn’t found around the world. Still. The gelato is widely regarded as being amongst the best available, and Grom is also well known for having an excellent fruit sorbet range. So definitely an option to keep in mind, and with nine locations in Rome at time of writing, including one at Rome’s main train station (Termini) you should be able to find one quite easily too. It’s important that on your trip to Rome you only eat the finest gelato. To help you out with this, I’ve put together a handy map, so you’ll always be able to locate the nearest gelateria from the above list. Click here to see this map on Google Maps. 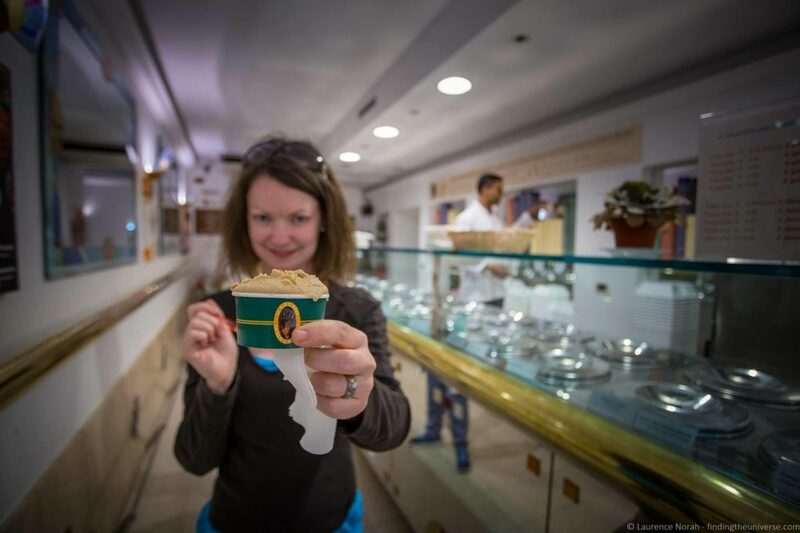 Yes folks, you can talk a tour of gelato in Rome. Ok, so most of these tours aren’t specific to the gelato, and many include other types of food, but Italian food is pretty great, so this is no bad thing. Here are some options in case you wanted to take a tour of Rome that includes gelato. Walks of Italy have a tour of Rome that includes a free gelato. And they’re passionate about good gelato at Walks of Italy, so you’re guaranteed it’ll be the good stuff. This experience has you learning how to make pizza in Rome, which you get to eat (of course), followed by some gelato for dessert. Sounds tasty to us! This should give you some ideas for a tour featuring gelato. That summarises our guide to where to find the best gelato in Rome. Presumably though, you’re not going to Rome *just* to eat gelato. Although, no worries if that is the case. Either way, we think you’ll find the following resources helpful for planning your trip to Rome! If you’re heading to Rome, check out our 3 day Rome itinerary. It helpfully goes past nearly all of these gelateria’s, so you’ll definitely be able to check many of them out! And that’s it! Got a favourite gelateria in Italy that didn’t make our list? Let us know all about it in the comments below! i was there two weeks ago and the best gelato I had was at Chicken Hut, I kid you not. 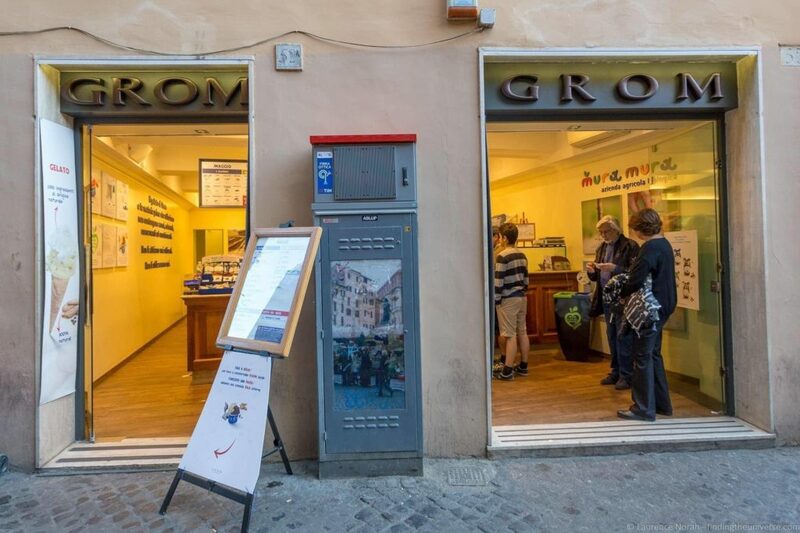 I had gelato at Grom in Sienna and it was great. Thank you so much for your wonderful guides. We are going to be in Rome for 2 days prior to getting on a cruise and your 2 day itinerary just established all that we will do. Of course, we will try to check out all of the best gelato as well. Great post! When in Rome, I eat as much gelato as I can – well not literally, but I eat a lot of gelato. As a vegan, it’s great because many places have dairy free flavours. But, the best on is the all-vegan Olive Dolci Gelateria, which we visit every time we’re in Rome.